Publisher's Note: Conservationists and environmentalists are almost always opposed to gold mines. But Midas Gold's Stibnite Project in Idaho is different. It was mined for tungsten and antimony to support the allies in World War II. But it was left in really bad shape. There are tailings leaching into the river and a salmon migration route has been blocked for years. Midas will fix all this and more as it mines the area with new techniques. It's really an environmental restoration project that happens to be one of the largest gold deposits in the country as well. That's why conservationists are on board, literally. As you'll see below, a prominent conservationist now heads up Midas' local subsidiary and is championing the project because it will leave the area much better than it is now. Expect Part II tomorrow. In addition to Midas, click here to see the scoop on nine other gold investments I'm currently recommending. Gerardo Del Real: This is Gerardo Del Real with the Outsider Club. Joining me today is Laurel Sayer, President and CEO of Midas Gold Idaho, a subsidiary of Midas Gold (TSX: MAX)(OTC: MDRPF). Prior to this role, Laurel was on Midas Gold's Board of Directors for approximately two years. 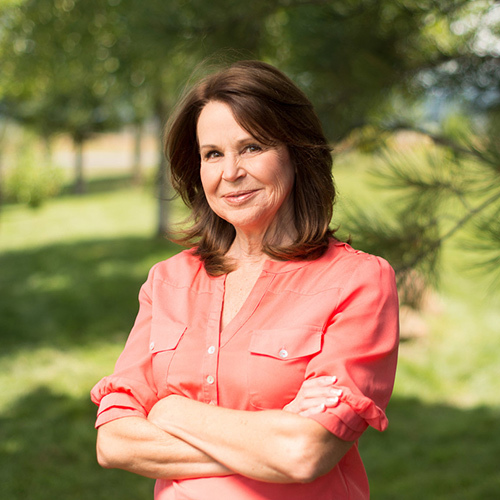 Laurel is a conservationist, an Idaho native who has held leadership positions advocating for conservation and protecting the environment. Her track record working with local, state, and federal government agencies includes more than two decades working on policy matters. Now, this includes work with multiple congressmen, including Mr. Mike Simpson. Laurel, thank you so much for joining me today. Laurel Sayer: Well, thank you. Appreciate the opportunity. Gerardo Del Real: I had the pleasure to meet you onsite at a recent visit, and I touched briefly there on your extensive background and it really is extensive. Can you share with me in a bit more detail, just what sparked your passion for the environment and conservation? Laurel Sayer: I would say the first thing that sparked my passion is that I'm an Idahoan, and I love Idaho. I appreciate when groups and conservation groups and different people, agency folks, come together and say, "We want to keep this land beautiful for our children and our grandchildren." Because I get to enjoy the beauty of this great state which has a fascinating history as well, in our outdoors. I think and I believe that what sparked mine first is that I'm an Idahoan and I want to protect and take care of what I have and what we get to enjoy. I worked extensively with agency people, with conservation groups, and what I have found and with Idahoans, ranchers, farmers, what I have found is that basically everybody somewhere in their thoughts and in their DNA are conservationists, especially in Idaho, because they care about the land. Particularly when I worked with Congressman Mike Simpson, I had the opportunity to work on the ground with the Boulder-White Clouds Wilderness bill that he was able to get through Congress. It took us a while to do this and to navigate that, but we got to work with ranchers, with county and city officials, with user groups, recreationists, with agency people, with national NGO groups and local environmental conservation groups. It was a great learning experience but just fueled my passion, once again, for the Idaho outdoors and protecting something and a place that children and grandchildren and future generations have the opportunity to enjoy as we do. Gerardo Del Real: Excellent. Now, I'd love to talk a little bit more about your work with Congressman Mike Simpson because I understand that's something that's very important to you and that obviously you are very proud of, and should be. Could you go into a bit more detail into some of the work that was accomplished during that time? And even more specifically, your role in Mike Simpson's administration, because it was a very critical role that you played. Laurel Sayer: Yes. Congressman Mike Simpson was for much of the time that I was working with him, he was Chairman of Interior Appropriations on the House side. The agencies that he worked with were all of the public land agencies. They were the Forest Service, the BLM, the Fish and Wildlife Service, EPA, all of the groups that we work with in this project and that I work with in other areas, and other places that I have worked, agency folks who help us get the permits that we need to, that we have to get the permits for the mine project. I was able to cultivate some relationships. I think that I built trust with those agency folks. We would get out on the ground, we would walk in the dirt, in the soil, in the creeks, in the rivers, and look at the projects. You would have an opportunity to talk to them. They also, when you are involved with appropriations in Congress, then you're the one that funds their agencies. They would come to him and would work with him on what their budget would be like for the next year. We would see how difficult it is for an agency to fund the work they have to do, which helped me understand the perspective of why industry is so important in working with public land agencies in order to get projects done, because in budget times, the cutting of agencies and their budgets, it's real, that happens. They have to prioritize their work because they only have a certain amount of money. Understanding that budget process has been very helpful with my work here at Midas Gold, and working with the agencies. Gerardo Del Real: Perfect. Now, let's talk about that work with Midas. You're President and CEO of Midas Gold Idaho, and obviously you're the lead on the Stibnite Project. I've followed the company for several years now, and I've always been impressed with how proactive, frankly, Midas Gold has been at being transparent and preempting issues. Having you on that Board of Directors, and now President and CEO of Midas Gold Idaho, to me speaks to how committed the company is to getting the reclamation done right. Can you provide a bit of history on the project for those that aren't familiar with how the mess that's currently there came to be? Then, I'd love to talk about what Midas plans to do about it. Laurel Sayer: The Stibnite Gold Project and the Stibnite Mining District is a historical site. It was first discovered during the Thunder Mountain gold rush in the late 1890s and it evolved, and right prior to World War II, it was identified by the United States government as a resource for tungsten and antimony. Both of those minerals they needed during the war years for the United States to be able to supply ammunition. During the war years, there were not any other sites or areas for this, and this Stibnite Mining District was identified. The military, the U.S. government at that time, the Stibnite town grew to over 1000 people, and it was focused on and prioritized as a resource. In fact, even those folks that worked on the mine there, they did not have to serve in the war. That was their service to their country at that time. It evolved through the Second World War. A major source, and then it started to wind down on employees and work after the Second World War. Then, end of the Korean War we still had some and then late into the '80s and '90s, there was work up there with not necessarily antimony, but there was gold and some silver that was being mined out of there. The site probably finalized I would say in the late 1990s was the last mining that was done in the Stibnite District. After that, as most of you probably recognize, EPA and environmental laws were just barely starting to be put into place in the mid '80s. You go back and as you look, during the World War II years, if you mined up there, you did not have the restrictions to leave the environment. So this area has, even though there's been mining through the late 1990s, this area has really been devastated by a lot of disturbance, and lack of the ability for anyone to go in and clean up. And yes, the United States government is responsible for a lot of it, but it wasn't prioritized as an area that could be cleaned up by the government.